Are you updating your kitchen and your old sink just isn't making the cut? Maybe you are just tired of looking at the old, leaky, worn out sink that was the builder grade choice at the time your home was built. 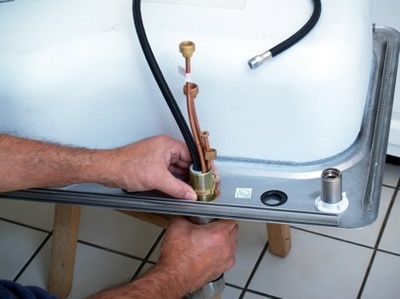 Either way, replacing the kitchen sink on your own is possible by following some simple steps and having the correct tools on hand. Time: Depending on DIY skills around four hours. Choosing a new sink to match your kitchen style can be fun. There are lots of functional and fashionable choices available with different benefits for each. 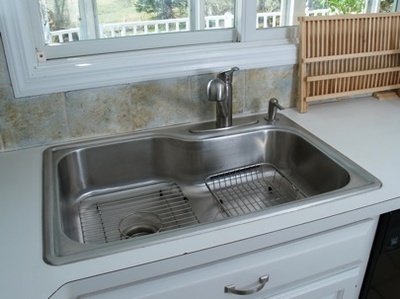 Maybe you would like the space that a large farmhouse style sink provides. Or maybe you want the clean, modern look of a stainless steel model. Whichever sink you choose, just be sure that the sink is equal or larger in size than your original sink. If you choose a smaller sink, it will not fit in the pre-cut hole in your counter and you will have to replace the whole countertop. The first thing that needs to be done when replacing your sink is to turn off the water running to the sink. You will have a big mess if you forget this step. Then you are going to want to take off the water supply, drain and trap pipe. Next you will need to loosen the clips that hold the sink. You may need to use the putty knife at this time to scrape some of the caulk holding the sink in place. After everything is loose and lifts easily, wiggle the sink free from its place in the counter. If the sink that you have chosen is a stainless steel sink, it should come with its own attachment clips. What you need to do is to place the sink in the hole cut for the sink, then fit and secure it into place by screwing the clips to the underside. You will need to make sure the nuts are tightened and secure. If your replacement sink is porcelain, you will want to place the sink upside down and apply a bead of caulk around the bottom of the sink. Next, you will turn it right side up and place it in the counter top hole. 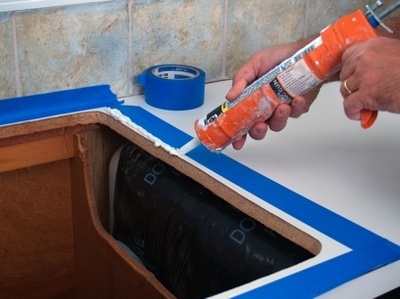 Last, caulk the edge of the sink where it meets the counter to seal it in place. 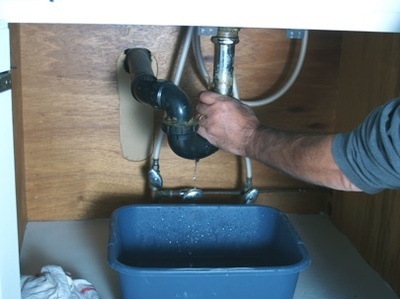 The last step involves connecting the water supply pipe and the drain pipe to the underside of the sink. Make sure to tighten them into place securely. The last thing you will want to do is turn on the water supply and check for any leaks. When you are remodeling or updating a home, any work that you can complete on your own is sure to save you money. With a few simple steps, you can replace your old sink and be using your beautiful new one in no time!